The terms and conditions below are applicable to all villa rental reservations made through this websites. AsiaVillaRental is owned and operated by Negara AG, Switzerland, and Griyasari Tours & Travel, Bali Indonesia. All information in this website has been compiled from up to date details and we have taken care to ensure that it is accurate. There may however be occasions when an advertised facility is either modified or not available. Such situations may be dictated by local circumstances, necessity for maintenance, water shortages, unsuitable weather conditions, fuel shortages, power cuts and other circumstances beyond our control. If we are advised of this, then we will of course inform you as soon as possible, but we cannot be held liable in such circumstances. It is also important to remember that some facilities, such as shops, restaurants, communal pools, water sports and water parks etc may not operate at all times and may have closed. It is not always possible to show all photos of a villa. Furniture and fittings may sometimes vary from brochure or website photographs. Please visit our website for latest photography and most up to date property information. If a particular facility offered in our villa is essential to the booking of your holiday, please ensure that we are made aware of this prior to you completing the booking confirmation pages. Google Earth/Maps are to give you a further guide to the location of the villa. However, we cannot guarantee the definition of the location of your villa and it is subject to whatever Satellite image Google publishes. New and updated Satellite images are being uploaded by Google on a regular basis which sometimes results in the movement of our marker and please remember that the shot of your area may have been taken several years ago. The villa and the immediate area around your villa may have altered significantly. These views are for your reference only and we accept no responsibility for any inaccuracies. Reservations have to be made in writing, either by filling in reservation form available in our websites or other mean of writing correspondence such as email and fax. All rates are quoted in US$ (United States Dollar) at current rates of exchange. All villas & rooms subject to availability. All rates are subject to change without prior notice. The price advertised on this web page is not available from the directly. We try to offer the best rates. To avoid misunderstanding of the rates, please note that some hotels or resorts have seasonal surcharges. Please read carefully the “remarks” and conditions of the rates before making reservation. Any additional or newly imposed Government Taxes and Service Charges are not included in your arrangements with AsiaVillaRental and are payable locally. Exeption is shown on the villa description. There are different payment methods as below: It depend on the villa management, usuualy you can pay with PayPal / Creditcard or Banktransfer. Detailed instruction for selected payment method is available in the invoice we sent. Payments of 50 % rental deposit must be received to guarantee your reservation. No more than 7 days after receiving the invoice, the deposit should be received. This deposit is non refundable. Final (remaining) payment must be received at least 30 days in advance to arrival (Exception; if booked less then than 30 days in advance of arrival). All payments should be received in net full of the total amount, including all the bank charges & fees plus the fees of the corresponding banks. Please note: Failure to make the final payment on a timely basis could make the reservation subject to automatic cancellation. After the payment is received in full, a voucher will be sent to you via e-mail (or by fax on request). This voucher has to be presented in the hotel during check-in procedure – please do not lose it. Unless explicitly informed, airport transfers are provided as complimentary services. Pay attention into the following details to avoid any potential inconvenience. Our officer will be waiting for you at the exit of arrival gate, holding a board with your name. Check in time is 14.00 and check out time is 12.00. Early check in and late check out can be arranged based on availability. Requirement for early check in and/or late check out should be communicated in advance. Late check out between 13.00 and 18.00 will be charged at 50% of one night rental rate. Each villa applies its own cancellation policy. Cancellation policy specific to the villa you are about to rent is attached to booking confirmation we send. Season classifications, their period, and corresponding pricing are subject to discretion of each villa owner. Please refer to pricing information in villa detail page of our website. The services of some staff may be included at the villas (ie Villa Manager, maid, handyman, cook chef). Additional services such as those of baby sitters, massage and/or drivers can be sourced in advance or on site upon request, although such services cannot be guaranteed and depend on availability. AsiaVillaRental.com or the local representative can assume no liability for such contracted staff. The rates for these services will be provided in advance and shall be paid as incurred directly to the Guest Relations Manager. Personal safe are provided in all villas. It is strongly recommended that they are used to store valuable items such as passports, laptop computers, cash, traveller’s cheques, mobile phones, cameras etc. Any valuables left at the property are the guest’s sole responsibility. Neither AsiaVillaRental.com nor the owners nor the staff can be hold responsible for any loss or damage of personal property. If you wish to make a special request, you must do so prior to completing the booking confirmation pages or within a reasonable amount of time thereafter. We will try to pass any reasonable requests on to the relevant supplier but we cannot guarantee that requests will be met. The fact that a special request has been noted on your confirmation invoice or any other documentation or that it has been passed on to the supplier is not confirmation that the request will be met. Failure to meet any special request will not be a breach of contract on our part unless the request has been specifically confirmed. Please note we accept no liability for any item/arrangement not confirmed on our invoice. Furthermore Guests are not permitted to enter the Villas when wet from swimming as the floors can be slippery. Damage or injury arising as as result shall not be the responsibility of IPSL, the Villa owners or the local representative in any way whatsoever. All swimmin gpools and jacuzzis are used at the renters risk. Many villas are situated on hillsides and some with sharp drop offs so extra care must be taken with young children. Passports, visas and health requirements It is your responsibility to check and fulfill the passport, visa, health and immigration requirements applicable to your itinerary. We can only provide general information about this. You must check requirements for your own specific circumstances with the relevant Embassies and/or Consulates and your own doctor as applicable. Requirements do change and you must check the up to date position in good time before departure. AsiaVillaRental.com have no liability where the arrangements cannot be provided as booked due to ‘force majeure’ /circumstances beyond our control. AsiaVillaRental.com is not liable in any circumstance to substitute or refund any unused proportion of accommodation and other related services. AsiaVillaRental.com is not liable to damage, loss, injury, and death sustained by residing clients both inside and outside the villa. 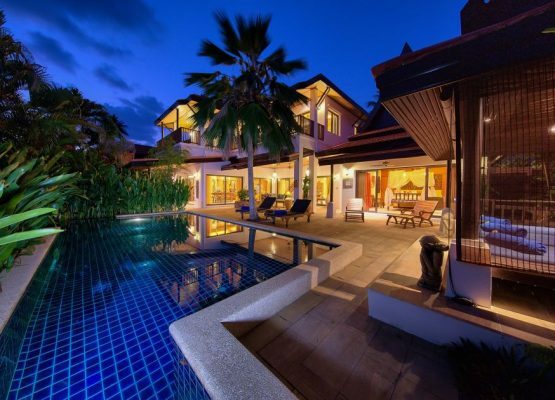 Whilst we make our best effort to ensure accuracy of information presented in our website, AsiaVillaRental.com are not responsible for any changes and alterations made by the villa owner. 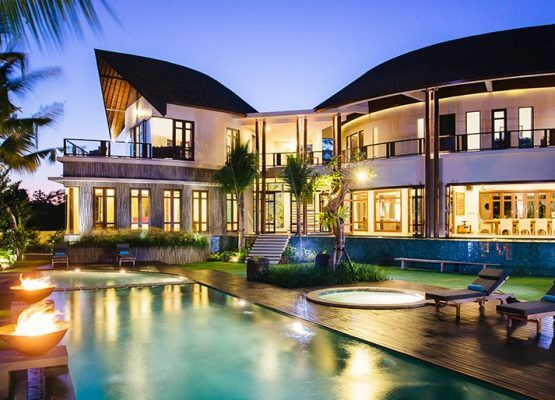 AsiaVillaRental.com is not responsible and therefore is not liable to borne any related expenses caused by inconvenience caused by condition of the villa. AsiaVillaRental.com is not liable to any loss and damages to personal belongings of the clients and their visiting guests including cars and personal belongings left inside. We accept no liability for intermittent failure of public supplies or utilities such as water or electricity over which we have no control, nor of sewage systems, plumbing or mechanical equipment in villas, but shall use our best endeavours to arrange prompt repairs where possible. 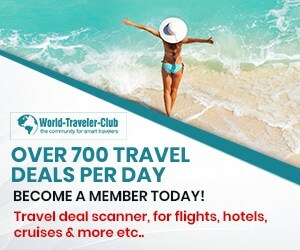 We suggest: Getting travel insurance which covers any potential disadvantages during your holiday including illness, injury, death, damage, loss, and cancellations is highly advisable. Please note that we do not offer compensation resulting from activities of theft or accept any liabilities for such matters both in or around the villa or in the resort. This site contains a links page that displays links to other sites from our links pages, AsiaVillaRental.com is not responsible for the privacy practices or the content of such websites. AsiaVillaRental.com will not supply any personal client information to any third party excepting that which is required by a supplier to process your booking. AsiaVillaRental.com are associate partners to several other companies whose services and/or products we employ/ promote from time to time. If we feel these associates are better placed to fulfill your requests we will notify you by e-mail and pass on your requests/inquiry. Our site uses a reservation and an inquiry form for customers to request/book information, products, and services. We collect visitor’s contact information (like their name, email address and other personal details such as passport, financial information like their account or credit card numbers), and demographic information (like their zip code, or age). Contact information from the form is used to send booking confirmations, information about our company, and promotional material from some of our associates to our customers. The customer’s contact information is also used to get in touch with the visitor from time to time in order to make them aware of new products or special promotions. Financial information that is received from our clients is used to bill the user for products and services ordered from our website by clients. If you have any questions about this privacy statement, the practices of this site, or your dealings with this Web site, please feel free to contact us. These conditions and any contract to which they apply are governed in all respects by Indonesia law.